In 2017, Plymouth Energy Community (PEC) commissioned Carbon Co-op to create a simple home energy tool for their team of assessors to deliver as part of an ERDF-funded project. 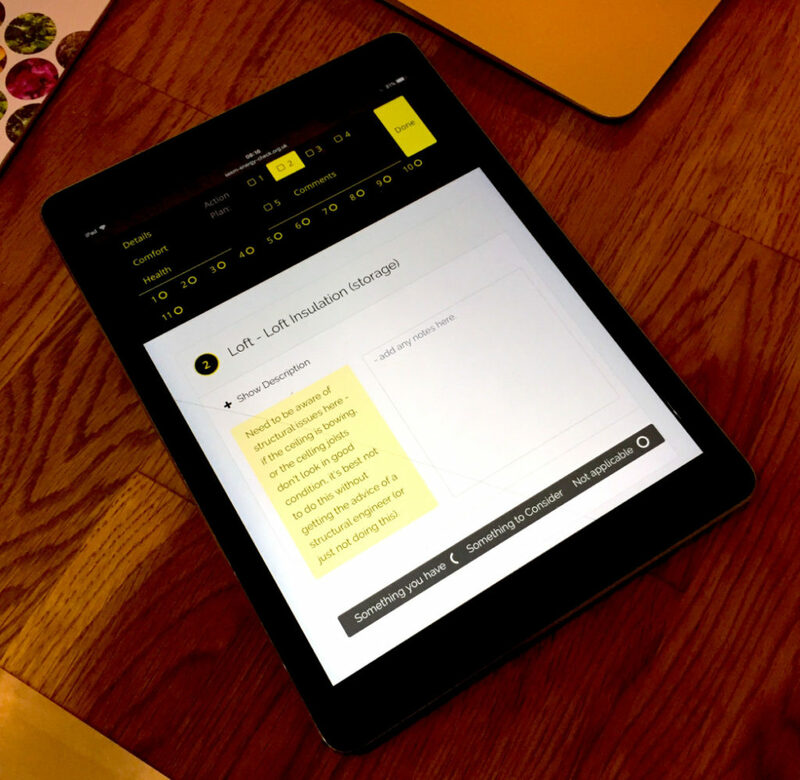 The tablet-based web tool enables trained staff to quickly and simply assess the need for basic but effective home energy improvements, including air tightness work, low flow shower heads and new LED lighting as part of a two hour visit. The assessment service is aimed at householders living in fuel poverty and as such the improvements recommended are free or low cost. As part of the visit, assessors are able to carry out simple improvement works. The web tool was built in house by Carbon Co-op in partnership with retrofit technical partners URBED and utilised learning and expertise from other tools such as My Home Energy Planner. 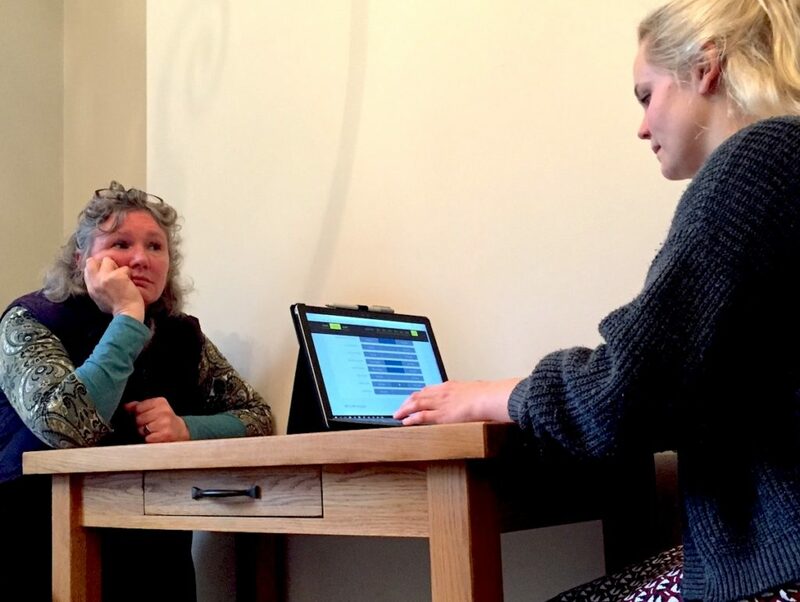 The tool uses a simple web-based form that can be used to collect data whilst assessors walk around homes and talk to householders. 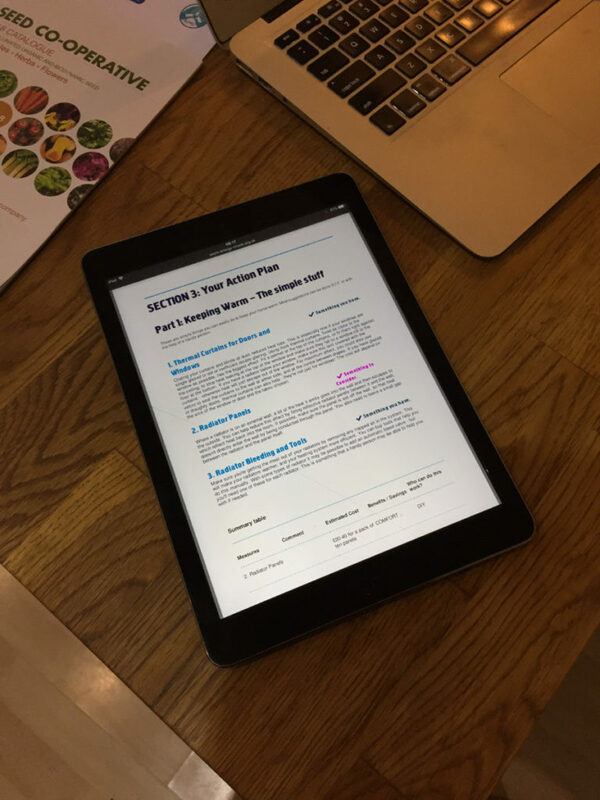 Afterwards a PDF report is automatically generated and emailed to householders. An admin panel enables PEC to manage multiple assessments and allows for data to be exported to their customer relationship database for follow up and impact evaluation purposes. After initial development Carbon Co-op and URBED staff visited Plymouth to train the assessor team and provided remote follow up support.